Alex Trebek takes brief medical leave from Jeopardy! In a video message to Jeopardy! 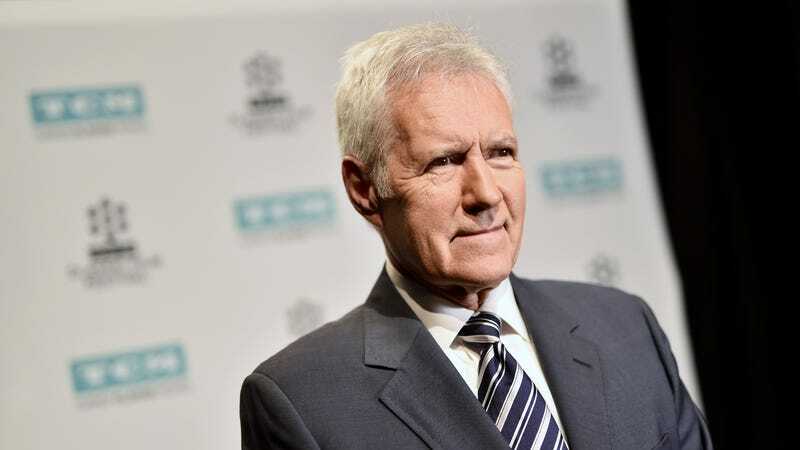 fans, host Alex Trebek has revealed that he recently underwent surgery for a subdural hematoma—or “blood clots on the brain,” as Variety helpfully explains—caused by a fall from October. He’s expected to make a full recovery, but he is going to be stepping out of the Jeopardy! studio for a short time while he recuperates. Thankfully for anyone who is terrified at the thought of watching Jeopardy! without Trebek, though, the show tapes episodes so ridiculously far in advance that you might not even notice anything has happened. As Variety also helpfully notes, the only change to the show’s schedule is that the College Championship episodes will be pushed back from March to April. In other words, your regular Jeopardy!-viewing experience will be largely uninterrupted. This harrowing ordeal has also reminded us that Matt Lauer was once set to eventually replace Trebek as the Jeopardy! host, an idea that sounded absolutely terrible even before we knew that he supposedly had a button under his desk that he could use to trap women in his office. We still don’t know who might actually take Trebek’s place in the future, but only because it should be determined—like all things—by a fistfight between Ken Jennings and that Watson computer. What is a section for articles on a similar topic?